Competition: Sit in a comfy chair, win a holiday away! Alright UK UGG lovers, this one's for you. UGG Australia have started a new campaign all about the fabulous UGG feel. Called "Feels Like Nothing Else," this campaign will see one lucky UK customer winning two days of luxurious comfort at Babington House. Not only that, but they'll also get the signature comfort of UGG loungewear and Classic boots to cuddle up in while they are enjoying their little retreat. So what's the catch? What do you have to do? It's pretty easy and can be easily combined with your early holiday shopping. 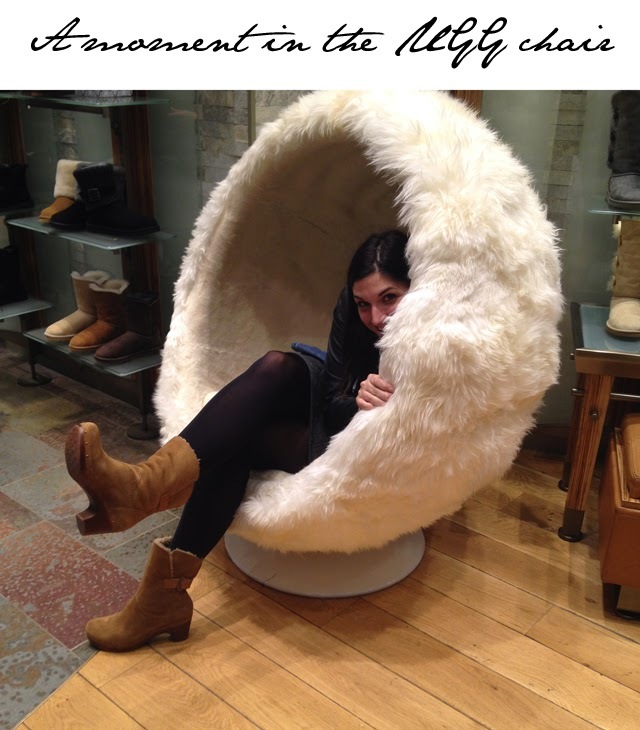 Visit select UGG Australia stores, Harrods, Selfridges London or Selfridges Manchester where you'll need to snap a picture of yourself sitting in the special UGG chair, while wearing UGG product. See above for inspiration. Tweet or Instagram @UGGuk, including #FeelsLikeNothingElseUK, upload a picture to the UGG Facebook page, Email FLNEUK@uggaustralia.com or Upload an image on the UGG website. Then make sure you encourage your friends to vote for you on the website as the submission with the most votes will win the Classic UGG Escape!